Muy buenos conectores y seguros , cuando los suelden con el cautin regular el calor para que no derritan el plastico y lijar los terminales para que el estaño pegue bien. To solve the problem of the tabs moving out of place just place the opposite end on the other side as in connect the male and female together before you solder on your wire and problem fixed nothing will move out of place. If you can solder them on within 3 seconds you're fine, after that they'll melt the tab and it will be out of place when it cools. I didn't think there were anything other than the heat treated, fiber enhanced material the rubber covering was made out of, but the bright red is a dead give away of the cheapness of the plastic. 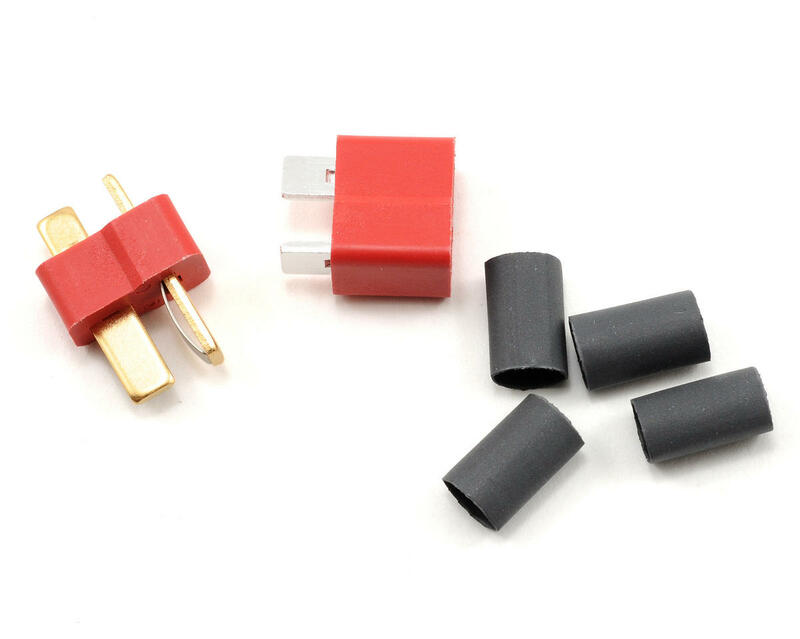 If you do get these instead of the dark red (good ones) make sure you plug it into the other connector for stability and better heat dispersion and work fast! Deans are awesome, would buy 10x over!!! i also am new to soldering and didnt have 1 problem. Best plugs ever! These are the real deal, not copies. The only thing I think that are better than these are Tekin's High-Efficiency bullet plugs. However, the Tekin plugs are loose and don't attach to each other. The only time I remember heating up the plastic on these plugs is when I tried to use a weak soldering iron. A good iron, along with good lead, makes soldering a breeze. The gold standard in aftermarket high performance plugs. 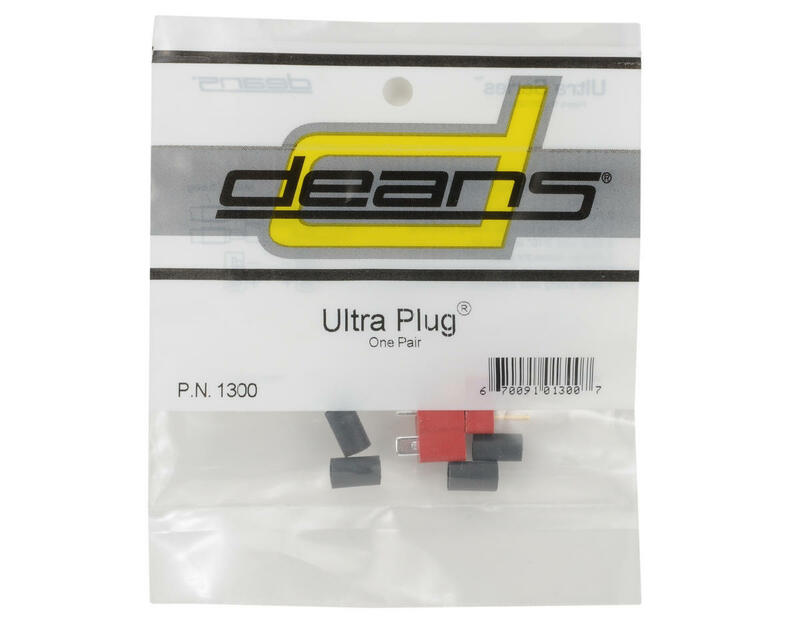 I only use Deans Ultra Plugs. These are the best plugs.What i mean is i had some of the cheap ultra plugs from China and they are terrible.All of the connectors turned green and i all the time would have problem with good connection especially when on charge.They are so stiff and it is very difficult to disconnect.After i ordered some of the original ones i even before installing them so massive difference in quality.There is no point saving cents and pennies on such crucial part of RC.Because you spend all that money on expensive RC's and Batteries and then risk damaging all of that because you saved couple dollars on connectors.Look at it as VERY GOOD INVESTMENT in your hobby. Don't cheap out on connectors.I did and luckily i fixed my mistake before doing damage to my RC arsenal!!! And Joseph Franciamone had a lack of experience in soldering or bad soldering iron.DON'T THINK AND JUS BUY THEM!!! Original Deans, the connectors that have the best material and accuracy to really work as intended. When you have mastered how to solder these there is no other ones you want to use.